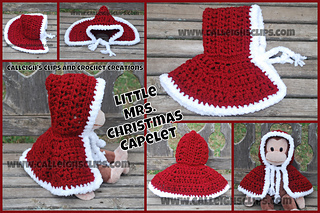 Little Mrs Christmas Capelet is a lovely textured hooded cape. 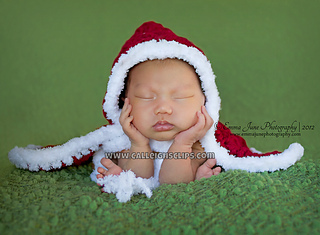 Perfect for Christmas, use a different trim for red riding hood or change up the colors completely for a fun accessory. 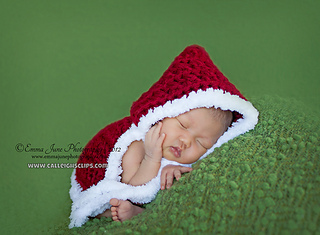 This is designed as a photography prop as the stitch is very open. Pattern is in American English, Patterns are tested and customer support is always just an email away if you need assistance. (cdc) crossed double crochet (video and instructions for the special stitch are included.